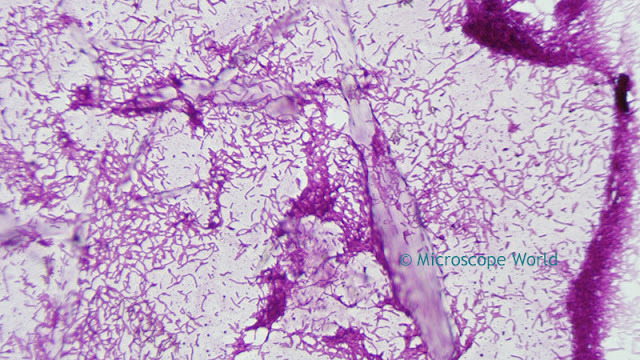 Rhodospirillum rubrum is a gram-negative, pink colored Proteobacterium. This type of bacteria is known as a facultative anaerobe, which means it can use alcoholic fermentation under low oxygen conditions or use aerobic respiration in aerobic conditions. Under aerobic growth photosynthesis is genetically suppressed and Rhodospirillum rubrum is then colorless. After the exhaustion of oxygen, Rhodospirillum rubrum immediately starts the production of photosynthesis apparatus including membrane proteins, bacteriochlorophylls and carotenoids, i.e. the bacterium becomes photosynthesis active. The repression mechanism for the photosynthesis is actually not well understood. The photosynthesis of Rhodospirillum rubrum differes from that of plants as it does not possess chlorophyll, but instead uses bacteriochlorophylls. 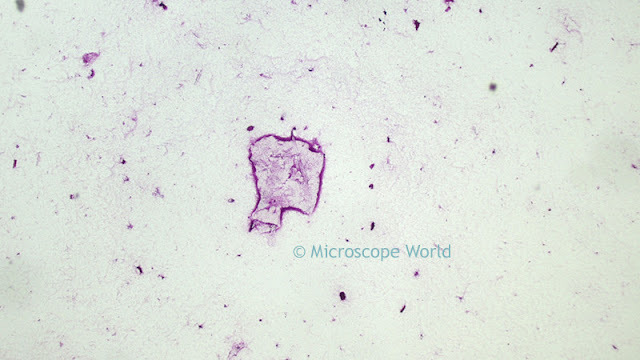 The images below of Rhodospirillum rubrum bacteria were captured using the Fein Optic RB30 biological microscope and the HDCAM4 high definition microscopy camera. Bacteria under the RB30 microscope using a 4x Plan Achromat objective. 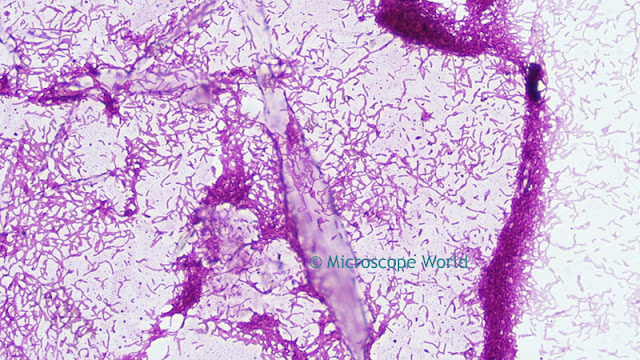 Bacteria under the RB30 microscope using a 10x Plan Achromat objective. Bacteria under the RB30 microscope using a 40x Plan Achromat objective. 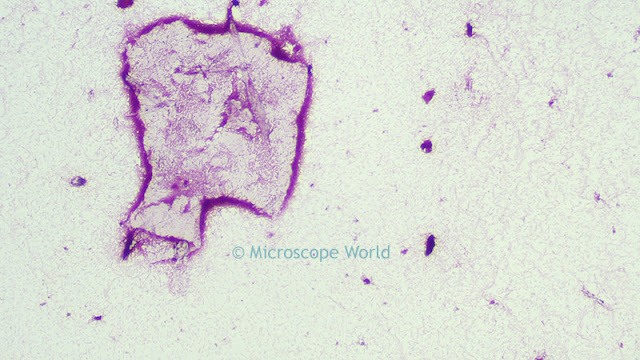 Bacteria under the RB30 microscope using a 40x Plan Fluor objective.